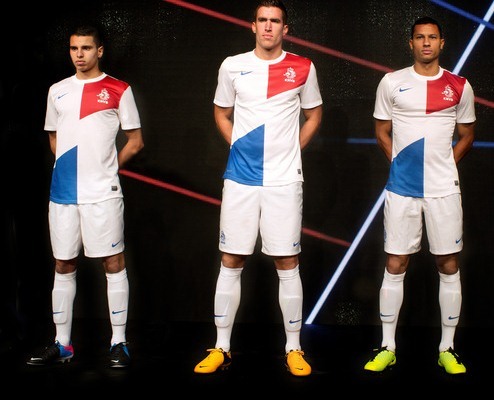 Nike have opted to give the Netherlands the same design as their home shirt in this new away strip for 2013/2014. The new Dutch away top, white in colour, was released in a local museum in the capital city of Amsterdam yesterday ahead of the nation’s friendly game against Italy. 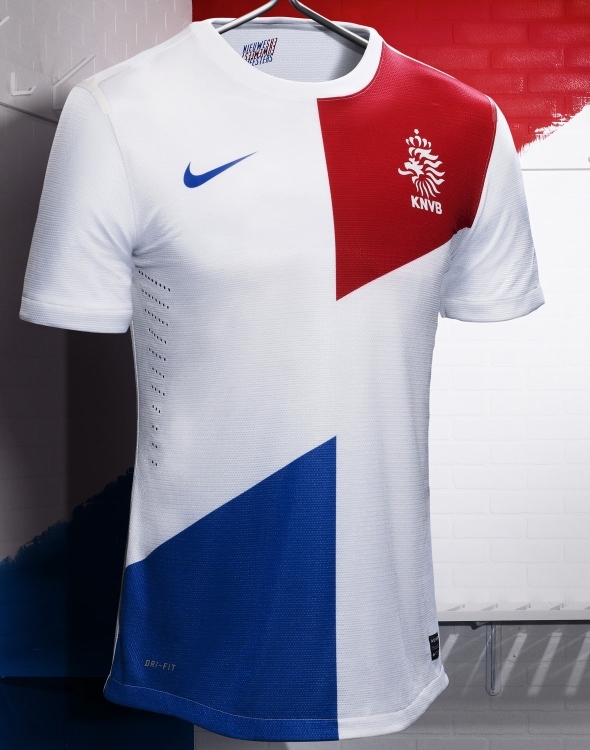 Supposed to symbolise geometry and perfection and paying tribute to the Dutch legacy of Total Football, the new Holland away kit contains all three colours of the national flag and contains Nike’s revolutionary Dri-Fit technology.